...that the UNSC honored Master Chief Petty Officer John-117's actions with a musical event called Believe? "They are Sentinels, but they were built by the Forerunners to exact repair where needed." The Constructor is a specialized Sentinel whose main function is to repair damaged Forerunner structures. Aggressors will come to their aid if they are attacked, as they have no weapon systems of their own to defend themselves. Constructors are drones programmed to repair any damaged Forerunner structure they can find, using low-tuned energy beams similar to Sentinel beams. These beams are fired from either the top half, the middle or the bottom half of the Constructor. [note 1] The beams can also be used to open Cryptums or lower the shields on pistons, allowing them to access the tunnel networks built within the Sentinel Wall. Although weak, they can harm an organism if they come in contact with it. Constructors can also play the role of a security grid. When a Constructor is attacked, a signal is automatically sent to Sentinel launchers to begin deploying Aggressors. For this reason, they can form an excellent security perimeter. With no weapons systems, the Constructors rely on Aggressors when threatened. They make their first appearance in the Halo 2 level Sacred Icon, exactly beside where Thel 'Vadamee stands after he is dropped off from his Phantom. They are repairing the destroyed edge and will leave after a while, or if the Arbiter approaches them. Attacking them will result in being attacked by aggressors. In the level Quarantine Zone, they appear at the end of the level when the player fights the Flood-controlled Scorpion and Wraiths along with many Flood combat forms using Covenant Ghosts and two Enforcers fight against the Flood near a downed UNSC Pelican dropship. If the player watches one of the large and deep trenches, a large cloud of Constructors can be seen flying off into the sky. In Halo 3, they appear in the level The Ark, where they are seen inside Forerunner structures including inside the wall to the Cartographer and the map room itself. 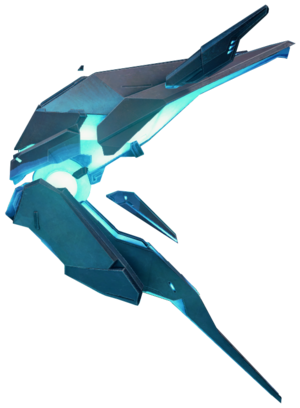 They can be also found in the multiplayer maps of Isolation and Construct, where they can be seen flying around in the distance. In Halo 5: Guardians, Constructors play a significant role in the campaign. In the level Enemy Lines, Fireteam Osiris is tasked with acquiring a Constructor in order to activate the Guardian on Sanghelios. In the final mission, Genesis monitor 031 Exuberant Witness summons a swarm of Constructors to retrieve the Cryptum that Blue Team was trapped in by Cortana. Apparently under the control of Exuberant, they use their beams to open the Cryptum and free the Spartans of Blue Team. On Isolation and Construct the Constructors can be sniped, though their small size and constant movement make this difficult. In Halo 2 and Halo 3, even though Constructors do not attack you, your weapon reticule will turn red when passed over them. A player can get up close and even touch a Constructor on Construct. First he/she must overload the map with trip mines. When the map is overloaded the player must go through the hole where the purple lift beams are projected. A player then can easy be touched by a Constructor but cannot be moved. They can be destroyed, mainly with a Spartan Laser or a Flamethrower. Note that even when one is destroyed another will immediately replace it in the same place. So in other words, you will see the debris from a destroyed Constructor fall from a full and complete one. A Constructor in Halo 2: Anniversary. ↑ In Halo 2, Constructors of Installation 05 fire their beam from their upper body, in Halo 3, the Constructors of Installation 00 fire their beam from their lower body, and in Halo 5: Guardians, the Constructors fire their beam from the middle of their body.